Alongside their vast selection of cheeses the La Fromagerie shops in Marylebone, Highbury and Bloomsbury offer a range of made in-house products. 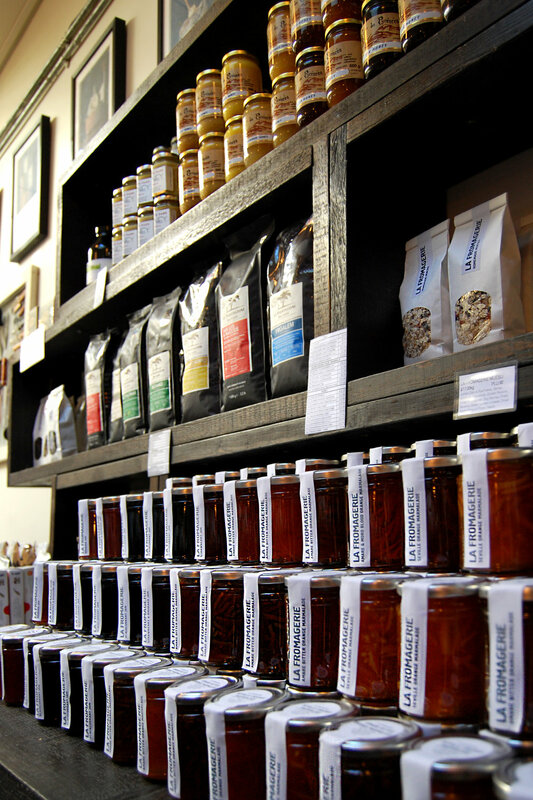 Throughout the year their kitchen makes seasonal jams, chutneys, preserves & pickles. From pesto, tomato ketchup, hummus and taramasalata to homemade granola and muesli, they can help you stock your fridge and pantry with the best quality essentials. We created a packaging system that allowed for labels to created in house, adaptable for the ever changing seasonal produce. 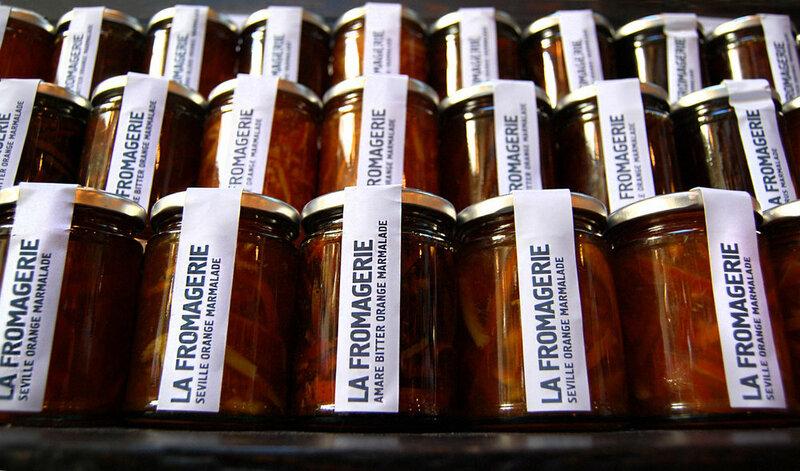 Simple and striking, our design allows for the product to be the focus, and reflects the clean La Fromagerie aesthetic seen in each of the shops.